Neck spasm refers to a sudden and involuntary tightening and shaking of a muscle in your neck. This contraction could be the result of overuse, weakness, or pain related to a disorder or injury. When you have certain conditions, such as cervical dystonia, you may even notice your head to jerk or turn as well. Neck twitching left side could also be the result of many factors, and when it is close to nerve endings, it could cause some pain as well. Let's find out more about it. You may experience twitching in the neck muscles due to trauma. Even moderate impact of force can affect the supporting architecture of your neck and cause pain along with twitching. Traumatic causes of neck spasm include dislocation/fracture of cervical vertebrae, muscle tension due to psychological pressure, muscle strain due to overexertion, strenuous exercise, and heavy lifting. Road traffic accidents, sports related falls, and assault can also lead to traumatic neck spasm. You may experience neck twitching left side because of a degenerative disc condition. That degeneration could be result of many things, such as cervical spondylosis or physiological aging, leading to spinal disc herniation, spinal stenosis, and disc prolapse. You may also experience the same problem due to cartilaginous degeneration, which is likely to affect the patency of foramina and increase pressure on nerves. Sometimes, you have to deal with neck spasms because of certain pharmacological agents. It may happen when you take medications such as haloperidol or metoclopramide. Studies have found that people who receive radiotherapy and chemotherapy to treat head and neck malignancies are at an increased risk of neck spasms. Both acute and chronic infections can cause neck twitching left side. How severe your symptoms are will depend mainly on the location, side, and duration of infection. Some common infections that may lead to neck twitching include spondylitis, osteomyelitis, upper respiratory tract infection, and abnormal spinal curvature. Your neck pain and twitching could be the result of neurological injury or inflammation. Headaches caused by migraine in particular can lead to disk spam. It could also happen with tension headaches and vascular type headaches. Neck spasm can also be a symptom of a more serious condition, such as meningitis, encephalitis, and tumors. 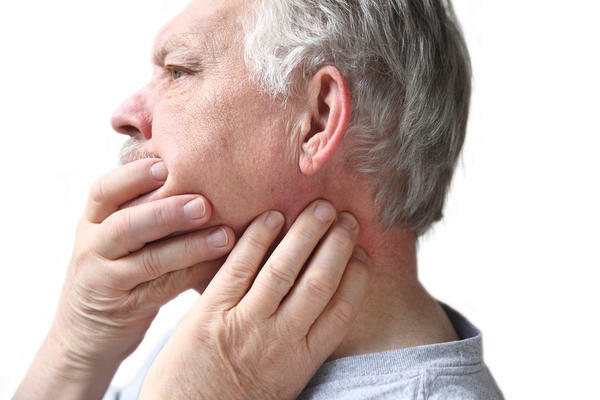 Neck spasm is usually transient and does not require any medical intervention. However, you should see your doctor if you suspect that your symptoms are due to nerve compression. Seek immediate medical attention if you experience weakness in your arms, have severe pain, feel abnormal sensations in your shoulder, or experience pain persistently. Sometimes, neck pain and spasm could be the result of a more serious ailment, such as meningitis and encephalitis. Therefore, you should seek medical help if you have neck pain along with high fever, muscle weakness, impaired balance, increased sensitivity to light, severe headache, nausea, and stiffness in neck and torso. Sit in an upright position and put your hands at the back of your head. Now, turn your head to the right while pushing your chin gently to the right side of your chest. Maintain this stretch for 15 seconds. Return to the starting position and repeat thrice on each side. Stand with your hands relaxed by your side. Now, take your hands behind your back and hold them together. Push your right shoulder down and then tilt your head to the opposite side. Feel the stretch for about 15 second and then slowly return to the starting position. Do it thrice on each side. Lie on your back and bend your knees. Keep your feet flat on the floor. Now, tuck your chin gently into your chest and then slowly lift your head up. It is okay to lift it about three inches from the ground. Just ensure that your shoulders keep touching the floor. Maintain this stretch for 10 seconds and then relax. Perform 5 such reps.
Take OTC pain relievers. You may feel better after taking pain relievers such as naproxen, ibuprofen, aspirin, or acetaminophen. These pain relievers help reduce inflammation in the body and reduce neck spasm and pain. Do not take more than recommended or you may end up experiencing side effects. Use ice packs. For immediate pain relief, you can apply an ice pack to the neck, but keep in mind that it is going to be a temporary solution only. It causes numbness in the area, which affects the nerve action and helps reduce the spasm. Ensure that you put ice in a bag or ice pack before applying to your neck. Apply it to the affected area for 10 minutes at a time. Massaging the affected area may also help reduce the severity of neck spasms. That pressure helps promote blood circulation and reduce tension at the same time. Simply locate tight parts of your neck and press gently on them for a few seconds or massage in circular motion to relieve pain, stiffness, and spasms.